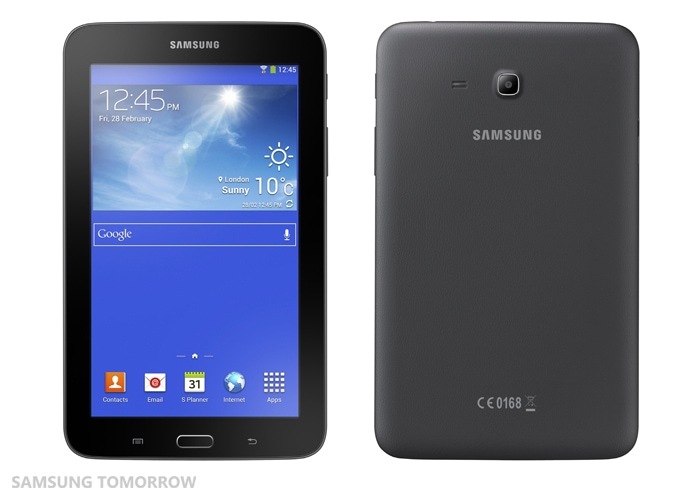 Various leaks (FCC, benchmarks) over the past few months have suggested that Samsung was going to launch a tablet that was even cheaper than the $139 Galaxy Tab 3, and it looks like those rumors have been confirmed. The Polish language version of Samsung's website is showing a leaked user manual and other docs for the Galaxy Tab 3 Lite, and there seems to be confirmation from a Polish retailer that this tablet is coming soon. Update: Samsung has issued a belated press release and confirmed many of the details in the previous leaks. There's no mention of a price, though. The Galaxy Tab 3 Lite is aiming to be a cheaper competitor to the Kindle Fire HD. It runs Samsung's version of Android on a dual-core 1.2GHz CPU with 1GB RAM, 8GB Flash storage, a microSD card slot, Wifi, and Bluetooth. Toss in the screen resolution of 1024 x 600 and you basically have the same tablet as the $139 Galaxy Tab 3, but these tablets are actually quite different. The Galaxy Tab 3 Lite has Marvell CPU and not the Exynos chip found in the Galaxy Tab 3, and it has a different arrangement of ports and card slots. It's missing the second speaker found on the more expensive tablet, and the specs only mention a single camera (2MP rear camera) rather than the 3.1MP and 1.3MP camera found on the Galaxy Tab 3. According to the Polish retailer the Galaxy Tab 3 Lite is going to be available in Wifi and 4G models. They're saying that the retail will be 499 Polish zloty for the Wifi model, or about $163 USD. Given that the Galaxy Tab 3 can be had for $139, that seems a little high. I am expecting to see the Lite model retail for $99 here in the US. Why $99? Because Samsung already has a budget tablet which sells cheap, so the new one is bound to be cheaper. Furthermore, it fits with Samsung's past behavior. Samsung has been targeting the 7" Galaxy Tab models as competitors to the Kindle Fire ever since that tablet launched in late 2011. The Galaxy Tab 2 launched in April 2012 with a price tag of $249. That cost more than the then-new Kindle Fire, but it was at least within shouting distance of Amazon's tablet. And then in April 2013 Samsung released the Galaxy Tab 3 with (I think) a $169 price tag, making the Tab 3 competitive with the $159 second-gen Kindle Fire. I happen to have a Galaxy Tab 3 on my desk at the moment. I picked it up on Saturday at Best Buy for $139 - the same price as the second-gen Kindle Fire HD. While it's a very nice tablet, it's not the hands-down best value for $139. But it is still a safe purchase from an established tablet maker. And with 9 hours battery life, it does offer a good value for the price. But I am not so sure that the Galaxy Tab 3 Lite will be an equally good value. We'll have to wait for the first reviews before we'll know for sure. But a $99 tablet by one of the best-known Android name brands? (Or even maybe $109, $119 if your guess is off.) That might be enough to get a lot of budgetarily-inclined users’ attention. You’re right; my Galaxy Tab 3 is still running 4.1.2. I hadn’t noticed the OS version, but in fact it’s not that out of date. I have other $99 tablets that run 4.1 or 4.2 and will never be updated, so Samsung’s lack of updates doesn’t bother me any. $163 (maybe $130 if the first figure includes around 20% VAT) for solid scrap? No, thanks. 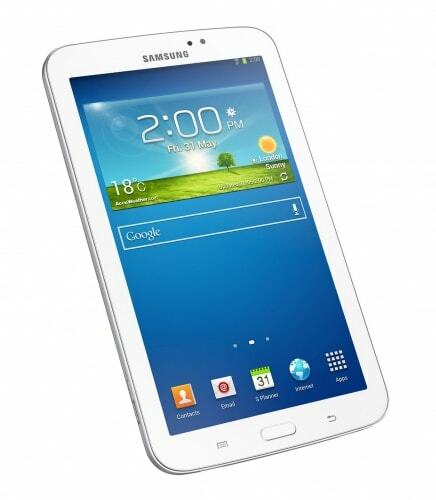 The Galaxy Tab 3 8″ is said to be appreciably different from the Galaxy Tab 3 7″. I just bit on a refurb’ed GT3 8″ for $219, and just as I did, found that the full undiscounted retail on the thing is now $269. By the time we’re done, and the newest line is rolled out, I expect this year’s GT3 8″ to be $199 at retail. I agree that Samsung tabs are historically a little “off”, but the Tab3 8″ has a lot going for it, most appreciably (for me) the light weight. It really isn’t fibbing when it says 11oz. and change. I’ve been looking at LIGHT 8″ tabs, and the pickings were slim. I haven’t seen LG’s Gpad under $279. I’m not going anywhere at that price. Happy camper. The tablet has been officially announced today. There was no mention of a price tag. 1024×600 – that’s just too bad. And what’s wrong with a 1024 x 600 screen? It’s almost become standard on budget tablets, including the $139 Tab 3 which has a very good quality screen.